PrintNPractice.com Printable Coloring Pages Bundle has over 350 coloring pages and fun coloring pages in easy to print PDF format as a downloadable coloring Ebook. 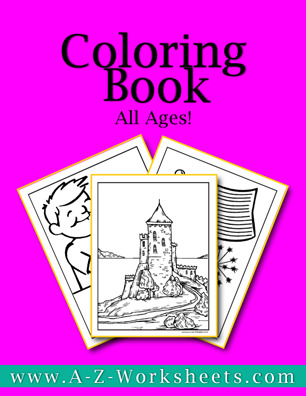 Print your own custom coloring book for as many children as you have! PrintNPractice Printable Coloring Pages Bundle has over 350 coloring pages and fun coloring pages in easy to print PDF format as a downloadable coloring Ebook. Print your own custom coloring book for as many children as you have. Great for use in schools and in home school! It complements PrintNPractice.com printable worksheets!